I love using habit trackers! They help me remember tasks and goals I have for the month and provide a snapshot of how I did when I'm finished. Every month I make a new tracker. 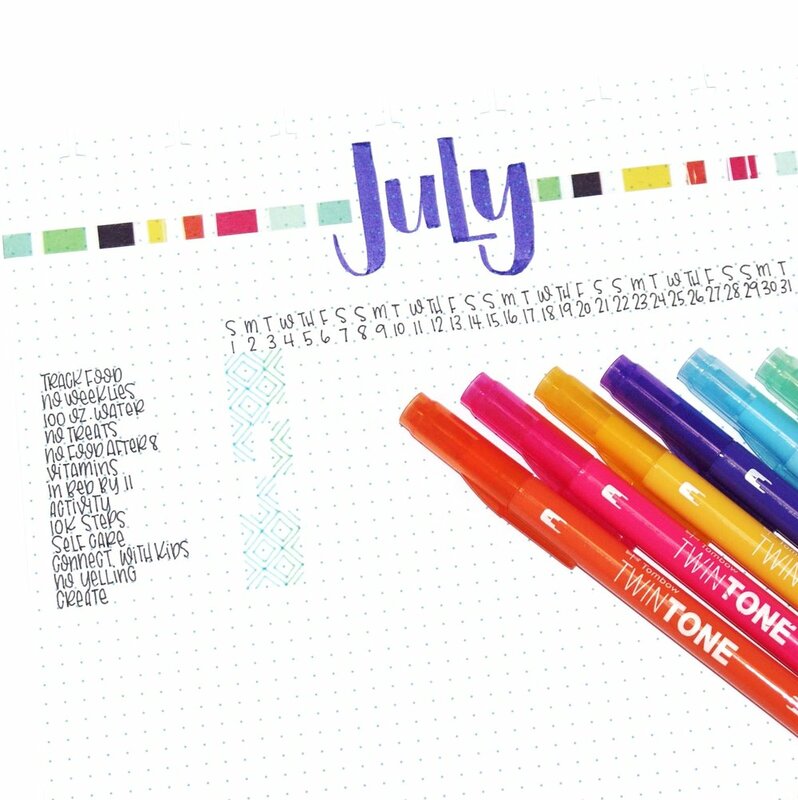 I make it cute with pens and washi before adding the days of the week and the dates. I recently started adding the days of the week so I can see how I do on weekdays and weekends. Ali is using pre-punched 'Fill Paper' to create her habit trackers! Next, I write the tasks and goals I want to focus on. Some are basic and repeat, and other are new and challenging. All of them are things I want to be reminded of or would like to reflect on. Then, I pick an awesome motivational quote to remind me that I can do whatever I set my sights on. Ali is using the the 'Gold Star Quotes' Value Sticker Pack to look for her AWESOME + motivational quote! As important as using my habit tracker for a reminder is, my favorite part is reflecting on how I did at the end of the month. I can clearly see how I tackled goals. I can see 'cause and effect' with some habits and know what I need to change to be more successful next month! What do you want to keep track of for the rest of this month? There is still time! Feeling inspired? 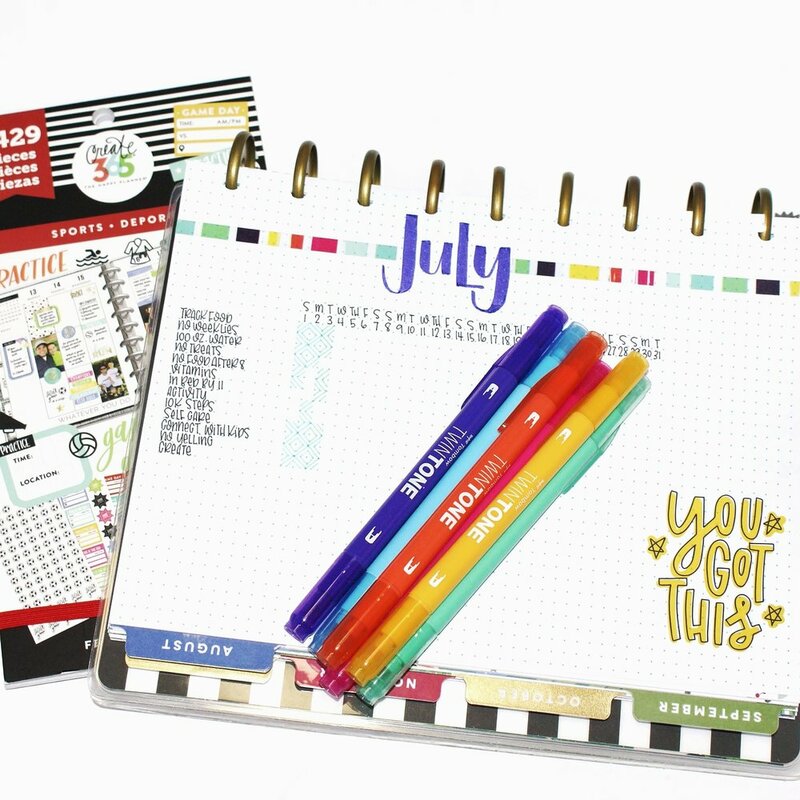 Head over to Instagram and give Ali (@according.to.ali) a FOLLOW to keep up with all her Happy Planner® creations!